By 2015, half of the world’s people living on less than USD 1.25 a day will be in fragile states. While poverty has decreased globally, progress on Millennium Development Goal (MDG) 1 is slower in fragile states than in other developing countries. Fragile states are also off-track to meet the rest of the MDGs by 2015. Fragile situations became a central concern of the international development and security agenda in the 1990s. Since then, powerful forces have been influencing the causes and manifestations of fragility, including the combination of democratic aspirations, new technologies, demographic shifts and climate change. The last five years have been especially tumultuous, encompassing the 2008 food, fuel and financial crisis and the Arab Spring, which began in 2011.These events have influenced the international debate on the nature, relevance and implications of fragility. While situations of fragility clearly have common elements – including poverty, inequality and vulnerability – how can we make sense of the great diversity in their national income, endowment in natural resources or historical trajectories? How do we move towards a more substantive concept of fragility that goes beyond a primary focus on the quality of government policies and institutions to include a broader picture of the economy and society? 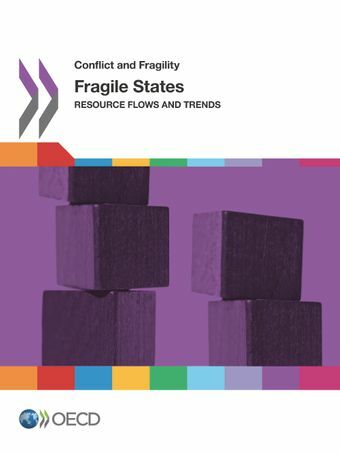 This publication takes stock of i) the evolution of fragility as a concept, ii) analyses of financial flows to and within fragile states between 2000 and 2010, and iii) trends and issues that are likely to shape fragility in the years to come.